All aboard! The latest set from this San Francisco band features “Play That Song”, which recently went top ten on Hot AC radio. That sounds like some chart and soul to me! It also features a collaboration with Priscilla Renea, who hit the pop chart as an artist in 2009 with “Dollhouse”. Pat Monahan and crew have earned five top ten albums on the Billboard 200 since 2001, and the sixth could be on its way soon. If you’re into raindrops and drop-tops, then you probably know the chart-topping song “Bad And Boujee” by this Georgia rap trio. As it ranks at #1 on the Billboard Hot 100, it’s also a top ten hit on the Rhythmic and Urban radio listings. This album will receive a large boost due to stream and track-equivalent units, which is not “Bad” at all when it comes to chart placement. With cuts like “CRZY” and “Distraction” building up millions of plays at streaming services, the California performer is bound to find some nice support at those platforms for release week. It’s likely to perform much better than her last mixtape, You Should Be Here. We’ll see you next week for new albums from Big Sean, MUNA, Reba McEntire and more. Listen to the PGTC Friday Faves list on Spotify! The pain of pop music. Just below the top 40 on Hot AC radio, and heading for adds at the top of the year, is “Let’s Hurt Tonight” by OneRepublic. It has the potential to be the band’s biggest hit from their Oh My My era, and as the third single from this album, it would follow a similar pattern that the guys have been involved in for several cycles now. (Remember how “Counting Stars” was the biggest song from the album Native, and “Good Life” was the biggest from Waking Up?) You can also find an alternate mix of the song on the soundtrack to Collateral Beauty, the Will Smith film that hasn’t had such a beautiful run at the box office. Prior to the creation of the Hot AC listing in April, this performer’s “Everything Changes” hit the top ten on both Pop and AC radio. Houston’s final (and least successful) release from the Waiting To Exhale soundtrack had a solid top ten charting on the AC survey. From “Closer To Free” to farther from charting, the Wisconsin band wouldn’t release another album until 2004. No songs charted. In a year dominated by Nickelback and The Fray, this country trio scored at several formats with their biggest crossover hit to date. Aguilera’s Back To Basics era wasn’t nearly as big with Hot AC programmers, but this did manage to outpeak “Ain’t No Other Man”. This song peaked at #8 on my chart, and I’m still disappointed that it didn’t have a true U.S. breakout. Hassle is now signed to RCA. For an act that’s had plenty of big hits, this one came and went very quickly, largely due to overwhelmingly negative research. Ouch. Sandé’s single recently peaked at #2 on my chart. Sadly, both this song and album tanked. I’m hopeful that the era will turn around. Taking a “Minute” to relive the past. This chart was no Hassle to make. Mayer’s got double duties on the countdown this week with a debuting tune in “Half” and this former #3 hit, which was on its way down the top 40. Both singles were featured on his 2009 album Battle Studies, his second album to debut at #1 on the Billboard 200 chart. Though his mainstream heights are behind him today, he’s still doing great on the road overseas. This Swedish singer was only 21 when he made his debut on my chart with this, quickly breaking the top ten and climbing up to #8 for two weeks. “Hurtful” was also a minor entry on the Hot AC survey. Hassle is currently with RCA and released an EP, Somebody’s Party, in March. A single from it, titled “Talk About It”, made my chart for a few weeks late last year. While Idina Menzel is still casting a chill on the charts with the same song title from the soundtrack to Frozen, this hard rocking band from Missouri was in the top ten with their first and only song to reach my chart. 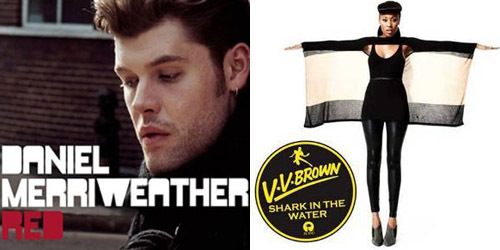 Two of their singles hit the Alternative top 40, while this managed a little traction on the Hot AC airwaves. The group remains together as a quartet. Nobody said it was easy to climb up the rankings; ask the Louisiana band Le Roux. The English duo of Elly Jackson and Ben Langmaid with the same name, save for one letter, debuted in late December and was still climbing on this chart. The duo resurfaced recently with news of a new album, Trouble In Paradise, due in July. A first single should be issued soon. 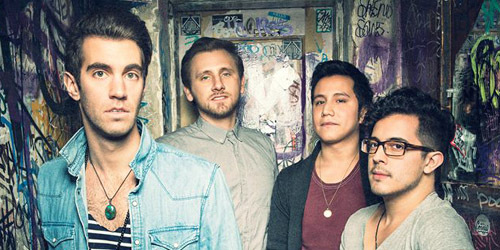 What happens when one of your lead vocalists decides to leave the group? Well, for this Canadian band, the departure of Steven Page could have led them to break up, but they soldiered on and have now released two studio albums playing as a four piece band. This single peaked at #5. They also made my top 40 last year with “Boomerang” and it peaked at #14. 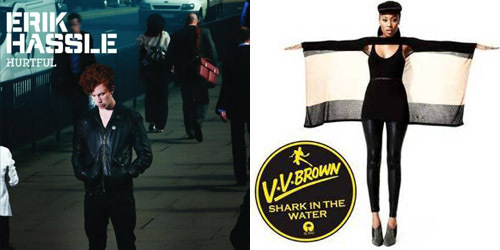 Born Vanessa Brown, the singer and songwriter from England made her chart debut with this track, which was a minor hit in several countries, including the United States, where it ranked on a few radio charts. After a shelved second album, she left her major label deal and independently released Samson & Delilah last year, which gained some buzz on music blogs. Caillat’s been a mainstay on my chart for several years now and this was one of her biggest singles, rising to #2 for a week. The California singer/songwriter was originally discovered through MySpace, but in recent weeks, she hasn’t really found a space on the charts. With the underperformance of “Hold On” earlier this year, her latest album has yet to see a release. Hey, Lady! It was the massive Country crossover smash of the year and took home several GRAMMY Awards, including Record and Song Of The Year. You can’t really get any bigger than that. Actually, maybe you can. “Need” spent a huge 11 weeks at #1 on my chart, easily becoming the year’s top single. They recently hit #1 on the Country chart with “Compass”. With the second single from his first album post-American Idol, titled For Your Entertainment, Lambert took a slow ride up to the top spot for two weeks, this week falling to #2. It remains his biggest entry to make my top 40. He begins a tour with Queen in June. He can also be heard on Avicii‘s “Lay Me Down”, the DJ/producer’s latest single down in Australia. Produced by Mark Ronson, this week’s #1 song back in 2010 was a really pretty one about a not so pretty subject: as the singer puts it, “the blindness of war and the absence of compassion displayed by western administrations.” Although “Red” was a top 5 hit in the United Kingdom, it didn’t do nearly as much damage here, securing a small amount of Hot AC airplay before descending. Love & War remains his most significant project to date, though he is back in the studio and recording. “Best” chart on the web, would you agree? Pink – Are We All We Are? Displacing Sheppard at #1 after two weeks at the top is the quartet originally from Boston, now based in Brooklyn. American Authors are having a pretty great day with “Best Day Of My Life”, up 2-1, becoming the band’s first number one single on my survey. They’re currently on tour with Misterwives and The Royal Concept as they play up the East Coast this week. Taking a leap from 37-30 is the Biggest Mover on the countdown, “Let Me Go” by Take That vocalist and X Factor U.K. judge Gary Barlow. Last time around, the quintet got as high as #18 in the fall of 2011 with “When We Were Young”. His first solo album in 14 years, Since I Saw You Last, is out next week. This week’s Highest Debut is in at #38 by an act who I wasn’t sure would ever make my chart again. Back in 2010, “Hurtful” by a then 21-year-old Erik Hassle went as high as #8 and then he fell off my radar… until a few weeks ago. The now 25-year-old’s second single to make my top 40, “Talk About It”, was recently issued digitally on his new U.S. home, RCA Records. 20-year-old Taylor Henderson becomes the first ever X Factor Australia act to rank in my top 40; his debut single, “Borrow My Heart”, debuts at #39. His self-titled album, featuring “Borrow” and ten cover songs as performed on the show, is released in Australia on November 29. Finally, this week’s #40 debut belongs to newcomers Smallpools with “Over & Over”. Based in New Jersey, they made a minor dent on the Alternative chart earlier this year with “Dreaming”. This followup to it goes to radio in January. 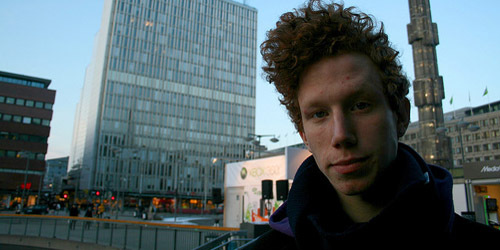 Several years ago, Erik Hassle made a spectacular debut onto the music scene with a pop and dance fusion that led to some big hype from the blogosphere. You can include me as one of those fans as well. His smooth vocals combined with some progressive-sounding arrangements was relatively new at the time, and although it garnered mixed reaction on the national surveys, it was very much ahead of its time. Sadly, his career largely dropped off after his first single, but now the performer returns with a track ready to deliver him a second chance at stardom, “Talk About It”, released on his new American home of RCA Records. It’s fresh and a banger ready to smash. First, a bit about Hassle’s story so far in the biz. Hassle was born in 1988 in Katrineholm, Sweden, originally wanting to get into sports before going to a secondary school primarily focused around music. Taken with this new direction, he signed a deal with the TEN Music Group out of Sweden in his teens. His debut single, “Hurtful”, off of his eventual #2 album in that country, Hassle, was released in the fall of 2008 and went as high as #11 in his native land and to #2 in Denmark. This was followed by “Don’t Bring Flowers”, which went to #25 and #11, respectively, and then a few other minor singles from an EP entitled Taken. Meanwhile, in the United States, “Hurtful” saw a radio release to the Hot AC format during the spring of 2010 on Universal Republic, landing at #30 on Billboard’s Adult Pop Songs survey at a peak of about 30 radio stations at the format. It initially crossed my radar in October 2009 before making my top 40 in February 2010, climbing as high as #8 for two frames. After a 20-week run on my chart, it ranked on my Top 100 of 2010 at #36, his only charting release to date. An international reworking of his album, Pieces, never made the Billboard 200 but I quite liked it. No followup single was issued in the States; there was no need given how little “Hurtful” actually accumulated both in airplay and sales, which is still a shame to this day. Since then, Hassle’s continued to record for label Roxy Recordings over in Sweden, and although some his additional EPs and albums have achieved minor chart peaks outside the top ten, no singles from them have charted and these recordings generally aren’t remembered as well as his debut material. He was also featured as a vocalist on an English version of Stromae‘s “Alors On Danse”, which was a hit in its original form internationally, though the remix with Hassle did garner some airplay in various parts of Europe. Again, it never would’ve done well in the U.S. in any form. Otherwise, Hassle’s been on a break, still writing music, but mostly just lying low as he tells blog Pigeons and Planes in a recent chat. That is, until now. Giving us a little taste of his forthcoming album, title yet to be announced, Hassle’s “About” is a great piece of pop, carefully put together and crafted so beautifully. Lyrically, the song tells of a male’s take on a relationship where he recognizes that he’s not been the only man in the picture and wants out, yet he can’t deny the feelings he once had and wants to carry on in his own ideal situation with his significant other. Hassle sings, “I don’t want to talk about it, no/Then nothing would be beautiful between us/I don’t want to think about it, no/Just let me know what would call this thing between us.” A crisp vocal with a strong lyrical set over a minimalist beat combine perfectly together, making for a rich composition without being overproduced or cluttered in multiple layers. It’s a great comeback for the young singer and one that should get him a lot of notice, especially with a proper backing from RCA. Let’s hope they actually go through with it. Looking for more information regarding Erik Hassle‘s new album soon, as well as a forthcoming North American tour coming later in 2014. “Talk About It” is available at digital retailers on November 5 and look for it In The Mix for my top 40 this weekend.